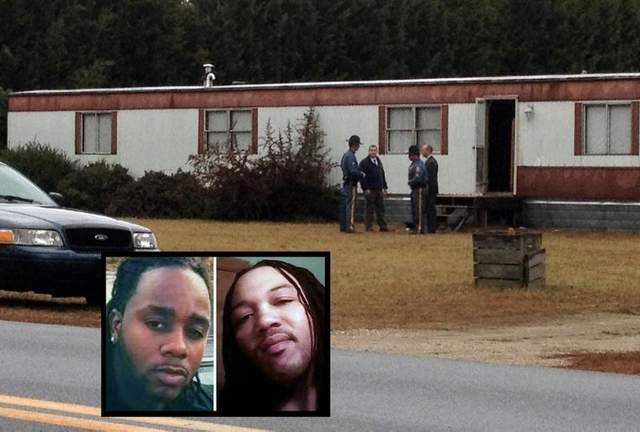 State police say two men found dead in a home northeast of Millsboro early today were murdered. The victims were identified as William Hopkins, 27, and Cletis T. Nelson, 29, both of the Millsboro area. Court records show both had criminal convictions. They were found in the home in the 28000 block of Harmons Hill Road after a family member of Nelson who had been unable to contact him for an extended time entered the home, Sgt. Paul Shavack said. Nelson was a loving, helpful person focused on a better life, said his cousin, Khalilah Hanzer, via a Facebook message. “He wasn’t perfect but he definitely was on the right path of turning his life around,” Hanzer wrote. Nelson, according to court and prison records, was released from the Morris Community Corrections Center on Christmas Eve. He had previously been sentenced to six years behind bars in June 2008 after being found guilty of possessing drugs with intent to distribute, maintaining a drug dwelling, firearm possession by a person prohibited and second-degree conspiracy. “He was excited about starting over and finding a job,” she wrote. Nelson was convicted in Kent County on drug charges on June 23, 2008, including possession with intent, maintaining a dwelling, conspiracy and endangering the welfare of a child, according to court records. Hopkins’ most recent convictions were for endangering the welfare of a child and unlawful sexual contact in Sussex County Superior Court on June 6, 2008. The family member who discovered the bodies called troopers at 1:08 a.m., Shavack said. “Preliminary investigation has determined that there was no indication of forced entry into the home and no suspect information is available at this time,” he said. Jackie Golder, who lives two doors away from the home where the men were found, said that the home is rented by an absentee landlord, and there was frequent tenant turnover. Golder said she noticed two men moving into the manufactured home last week.